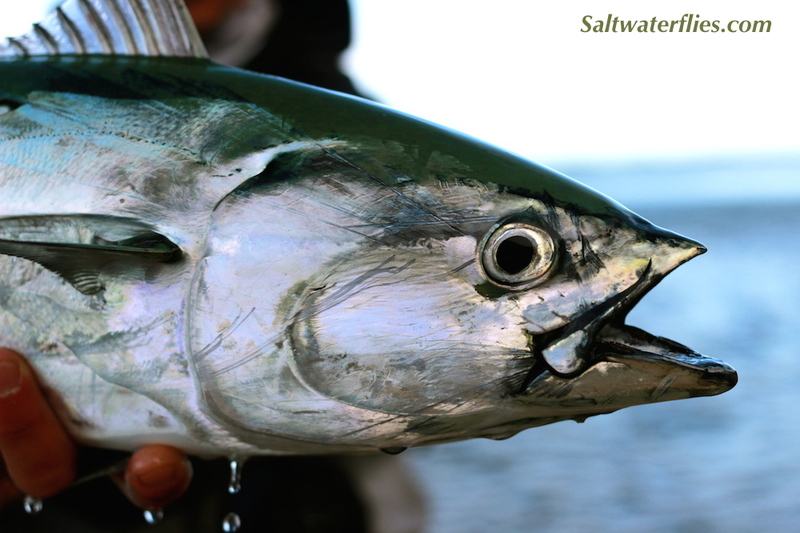 This clever baitfish is a sweetly tied fly with just the right shape to imitate peanut bunker (baby bunker) and small herrings. 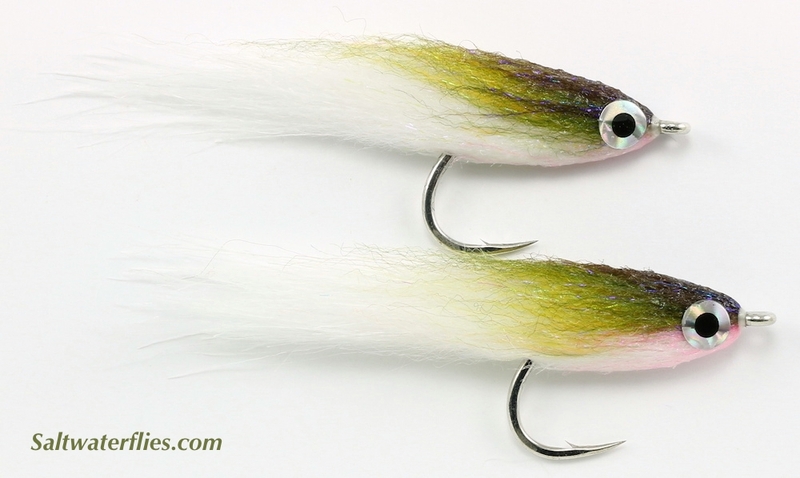 Inspired by Jonny King's "Hoo Fly" designs, this fly is an excellent pattern for striped bass, snook and baby tarpon, bonito and false albacore, and any other species that prey on baby bunker and other small herrings. 8.29/ea. "Peanut Bunker" is shown above; Herring is shown below. These excellent Peanut Bunker and Herring flies are tied on super-sharp, strong Gamakatsu SL12 #1/0 hooks. Adding to the illusion of life on this fly are subtle color highlights to help mimic the color sheen of small herring and peanut bunker. This fly is approximately 3 inches long (8 cm). Related patterns: Crease Fly, Enrico's Peanut Bunker.